Considering my love for maxi dresses, it's not surprise that I had to get one with a floral print. This blue floral maxi dress from Make Me Chic is exactly that...chic. I received this from Make Me Chic and it fits perfectly. I have been completely won over by this site. Each piece from there has been well made and has a great fit. 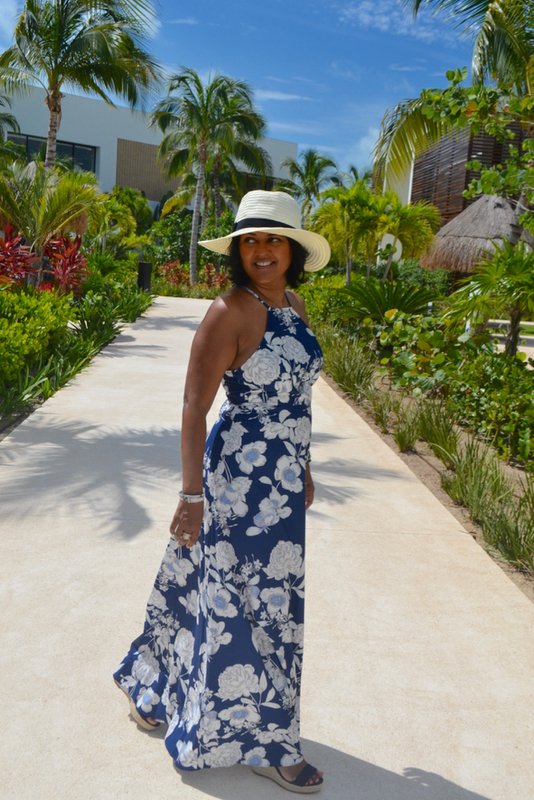 The deep blue of this dress was just what I was looking for to wear on my beach vacation in Cancun. 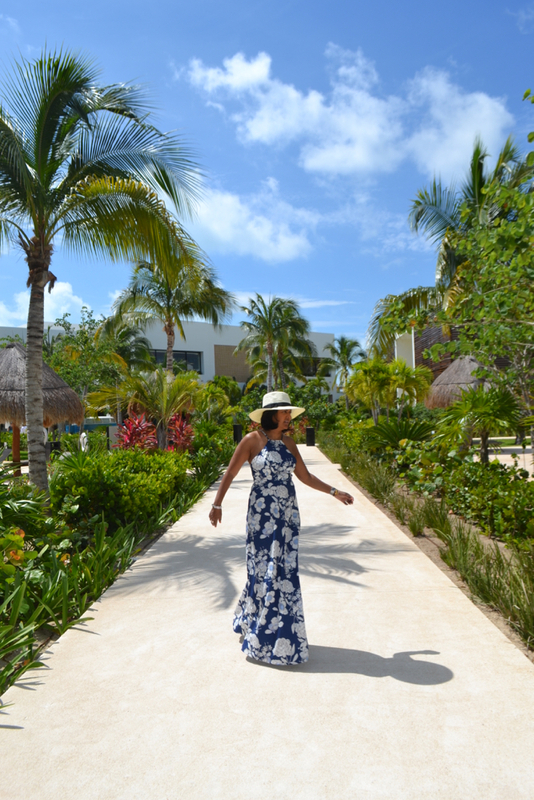 We recently went for a wedding and stayed at Finest Playa Mujeres where dinners are a dressed up affair. 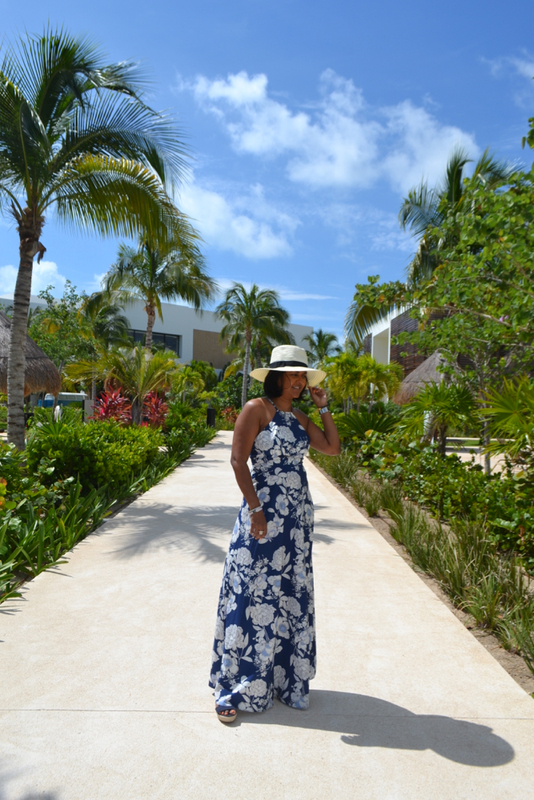 I wore this dress for a dinner of Mexican cuisine at our resort and later in the evening at their rooftop bar. 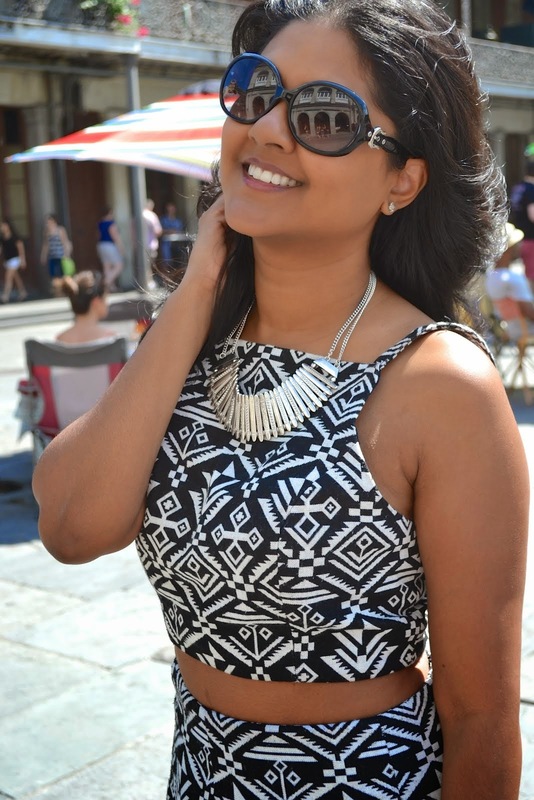 It is a very sophisticated, yet playful dress that can be dressed up or worn casual. This was made very well and the fabric is substantial but light enough for the sunny location. I was very happy with this dress. You can find so many great dresses on their site in addition to maxi dresses. 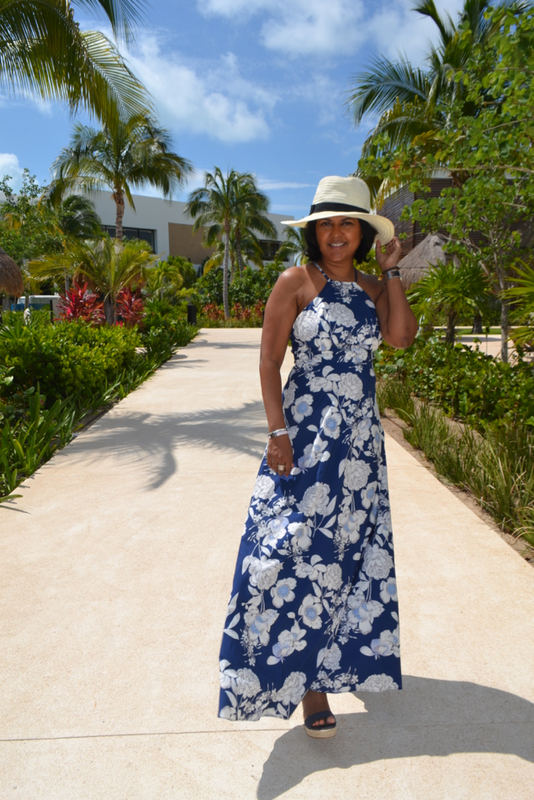 I especially like maxi dresses because I like to think they make me look taller :) I had my large brimmed hat for those sunny hours and wore blue espadrilles to match. 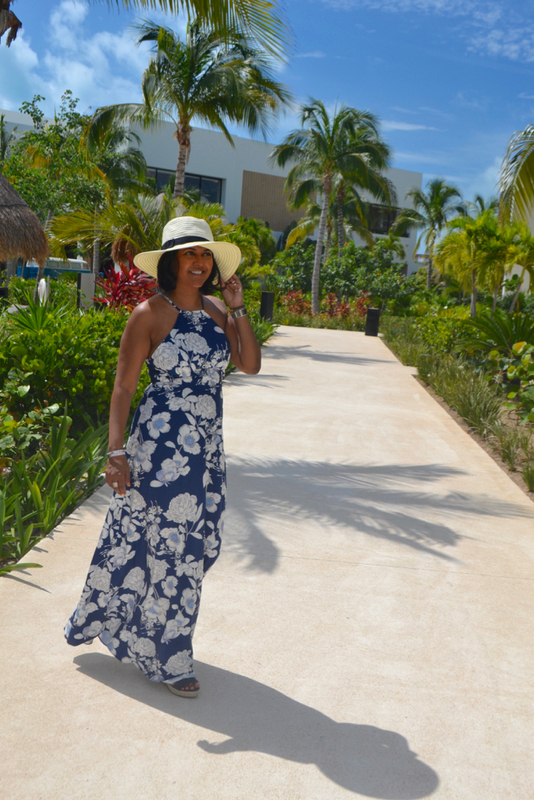 I had such a great time on this trip and having a new dress to wear on vacation is always a plus. I will share more about Cancun soon!